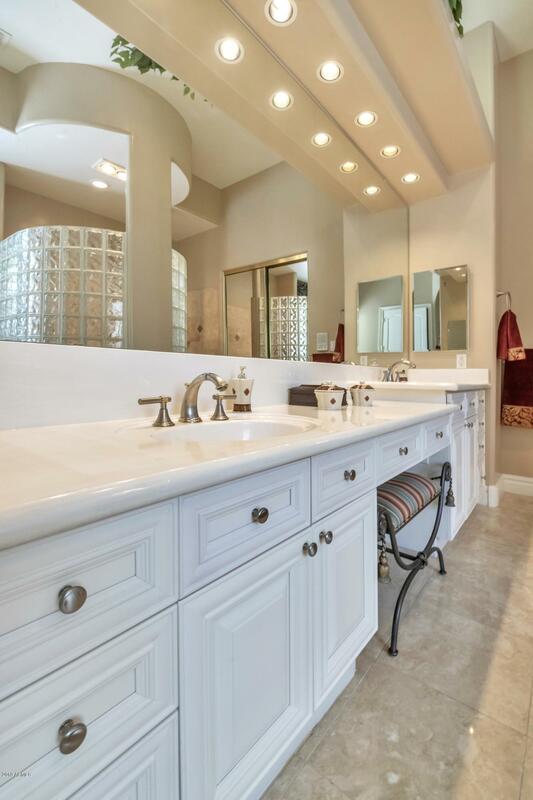 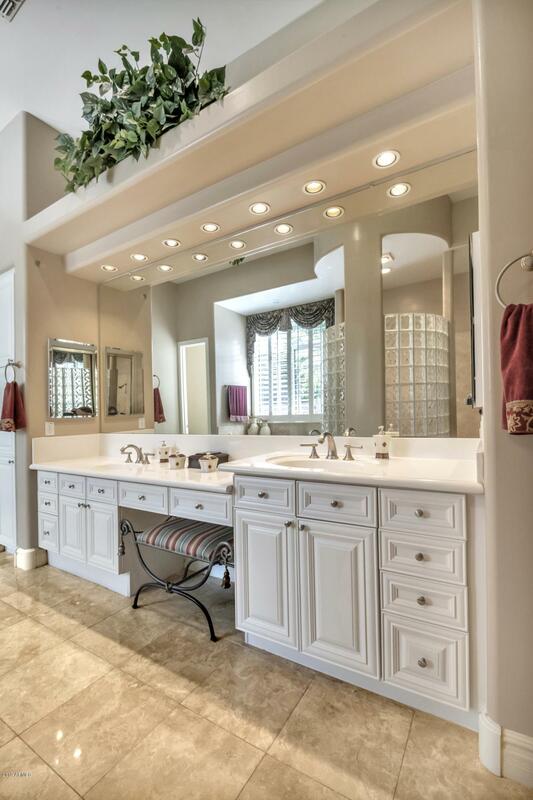 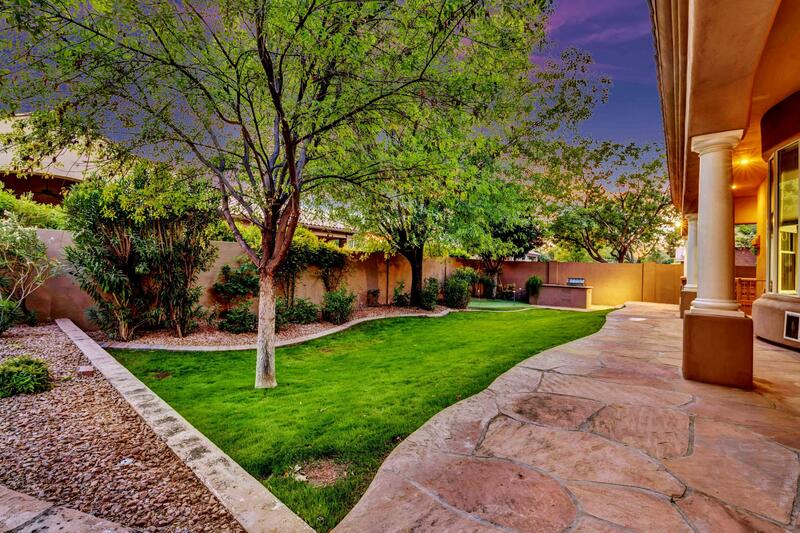 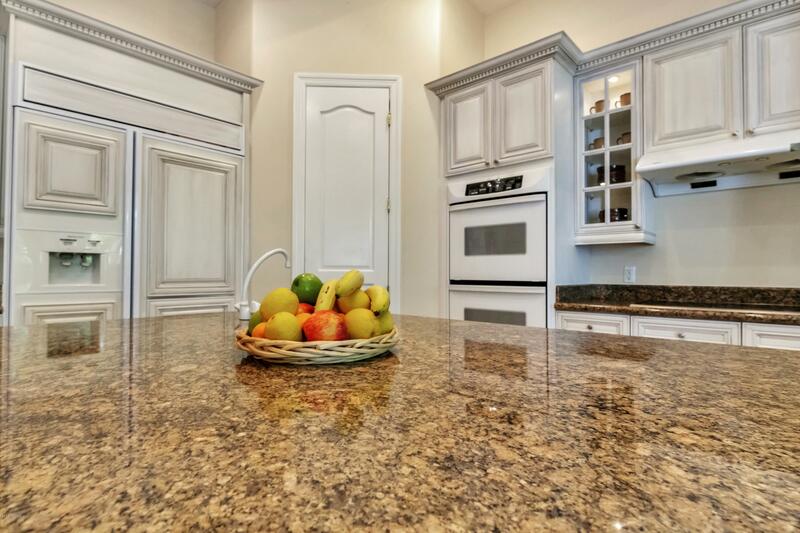 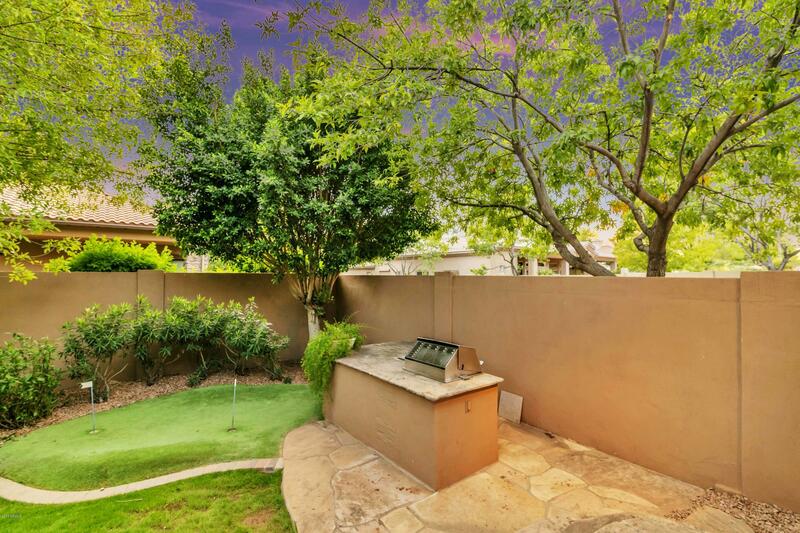 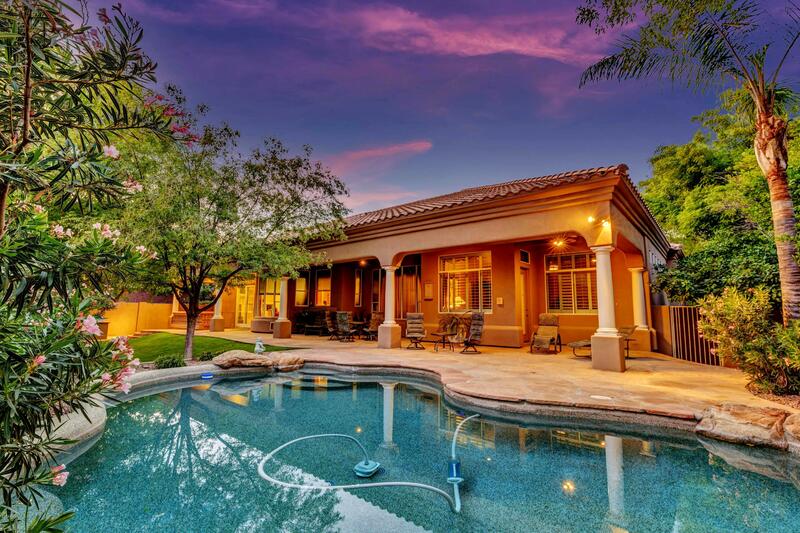 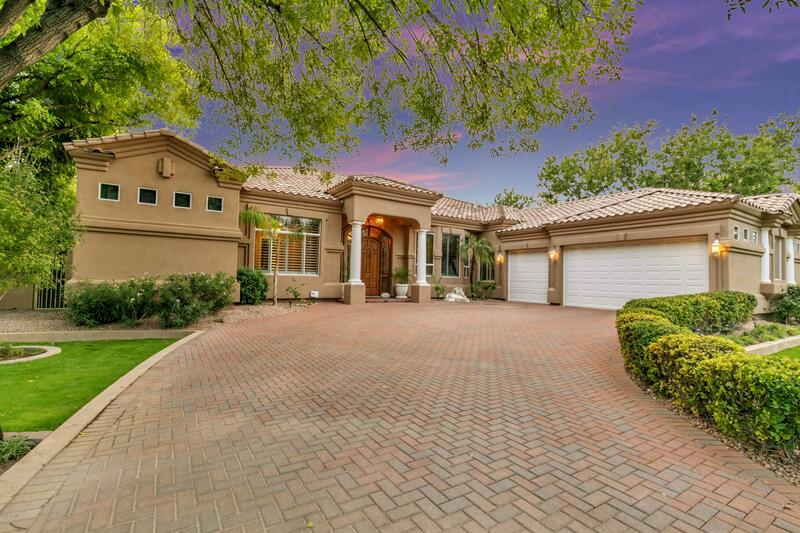 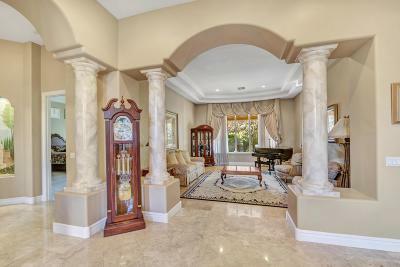 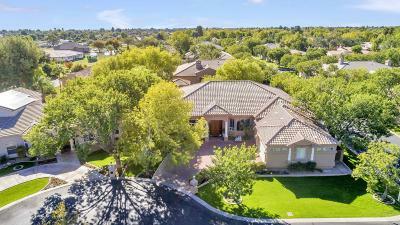 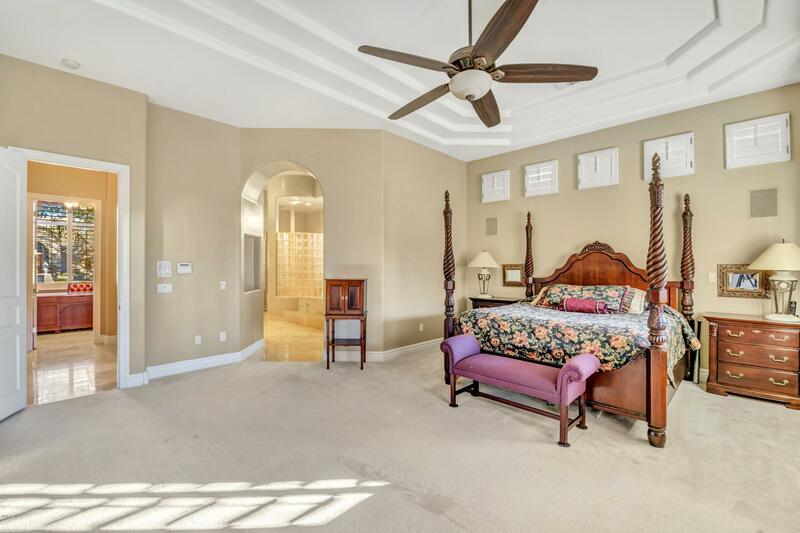 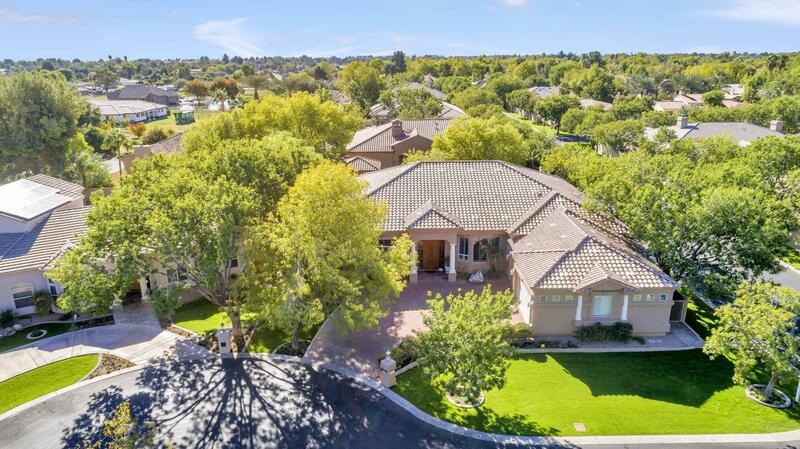 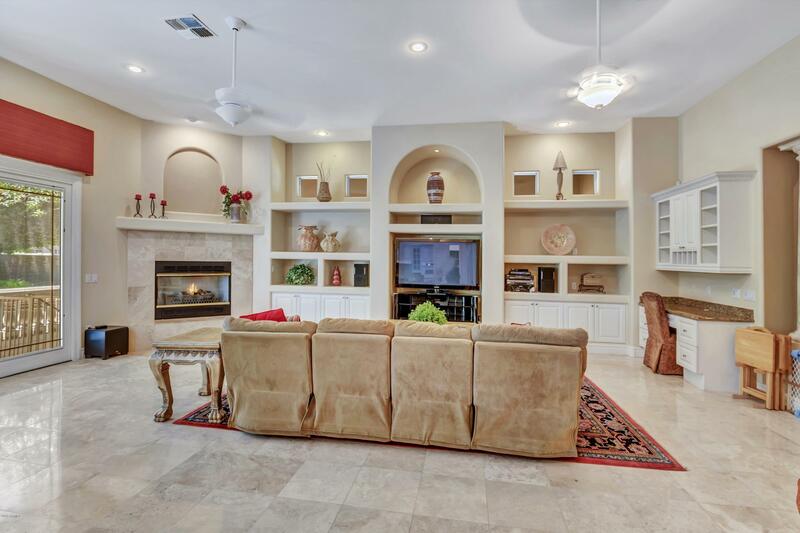 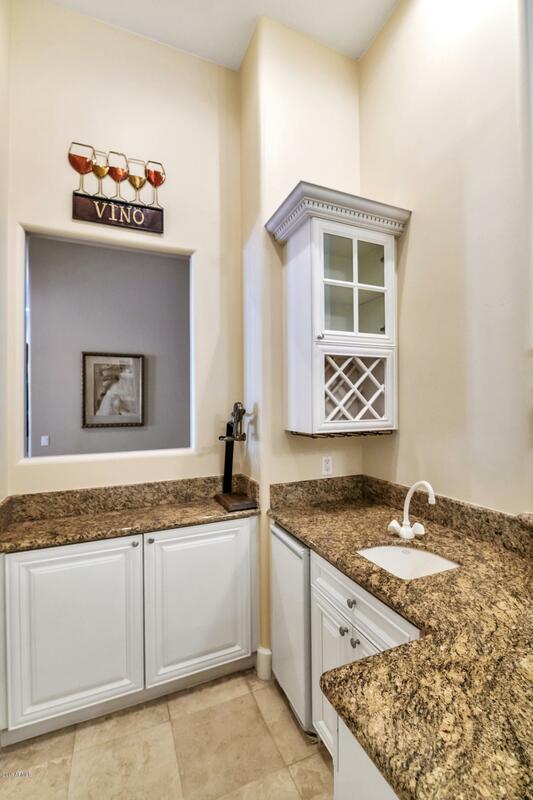 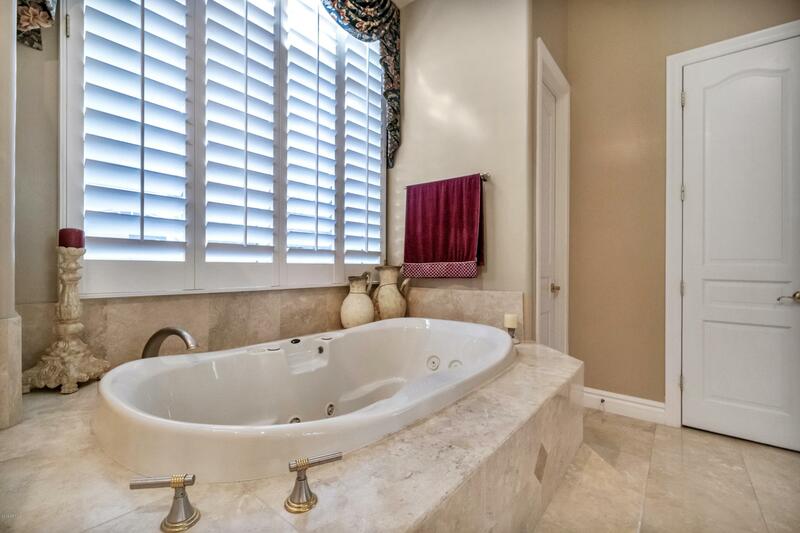 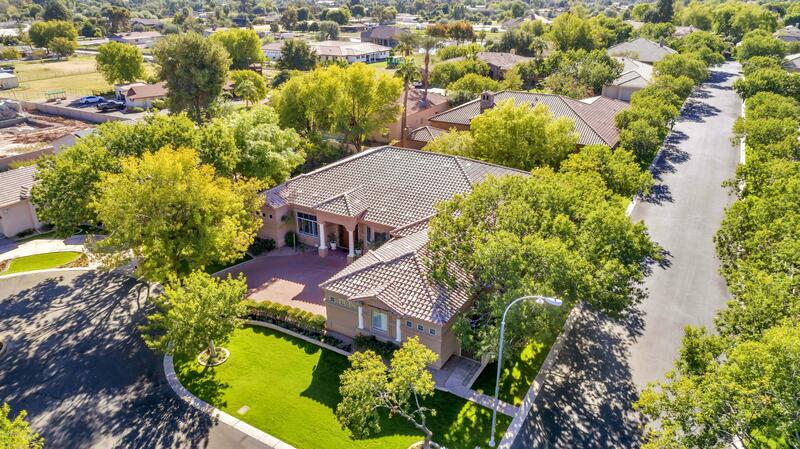 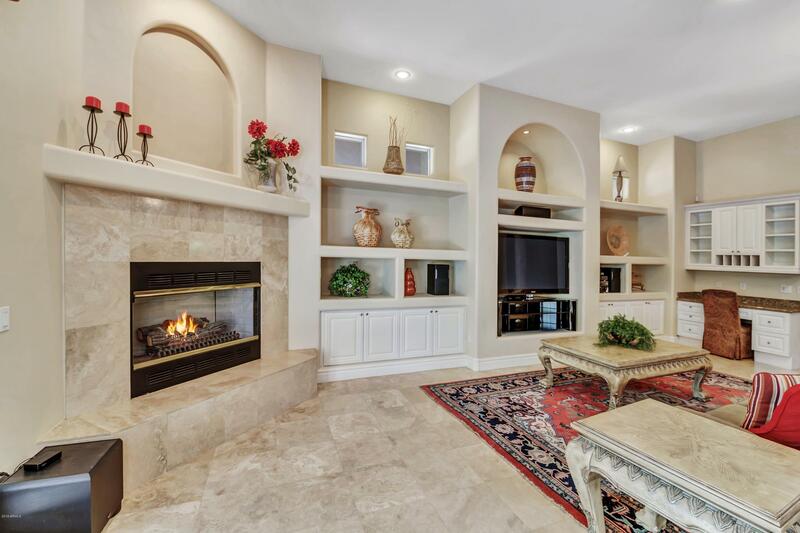 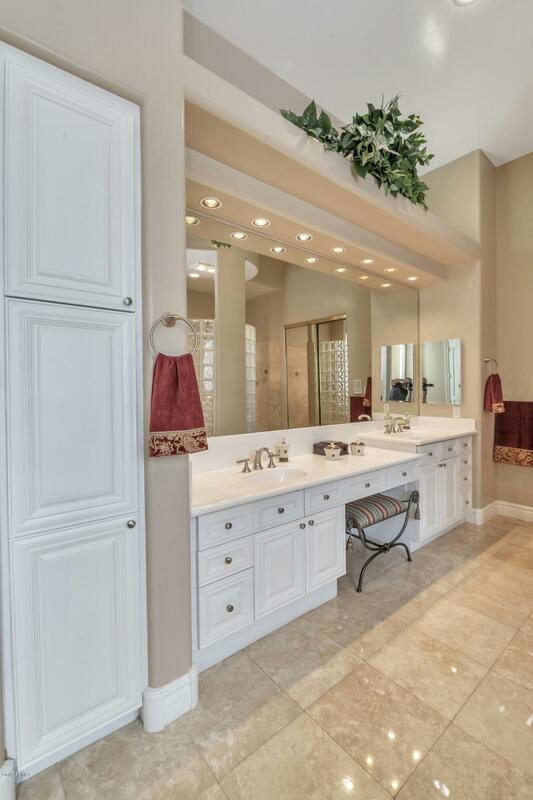 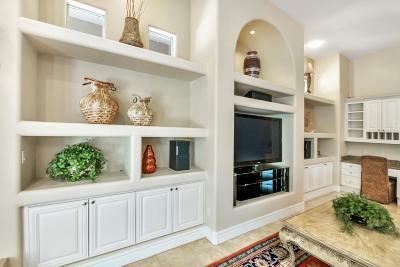 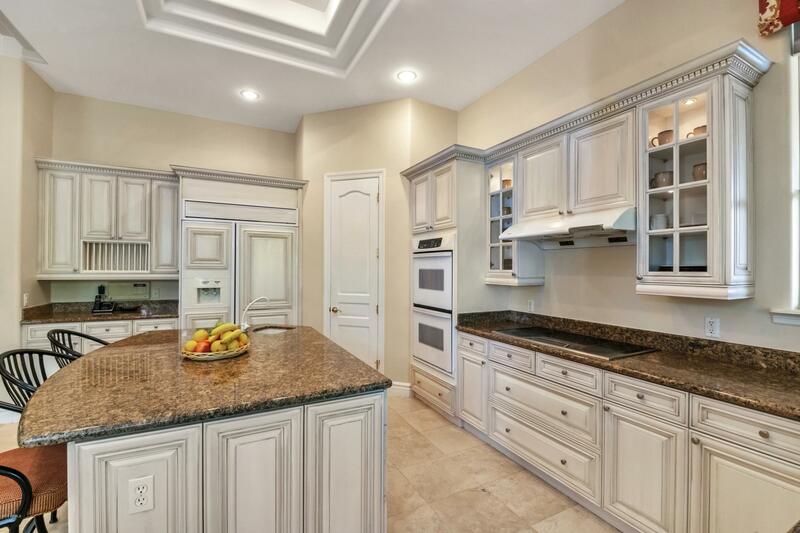 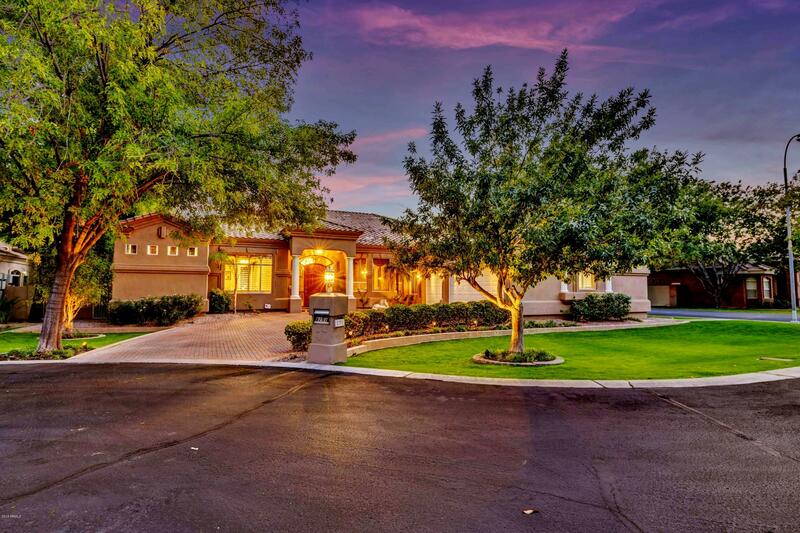 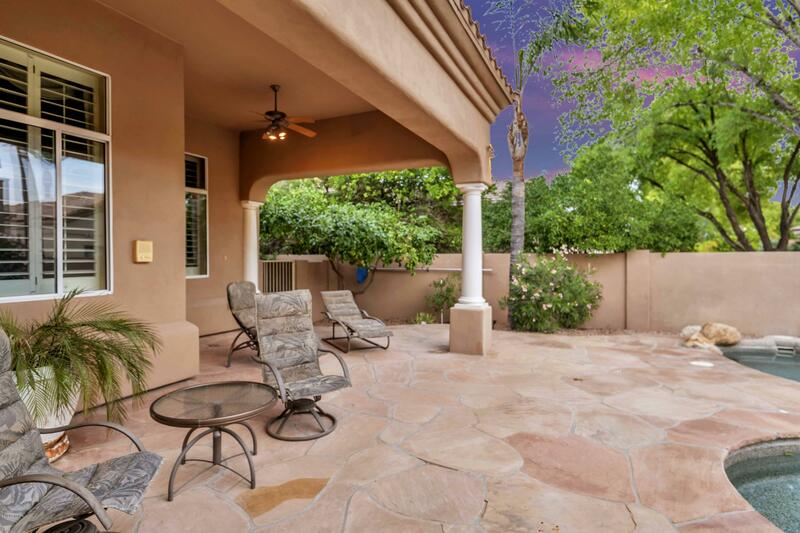 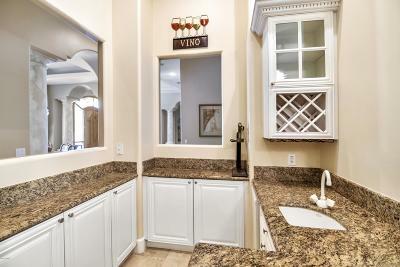 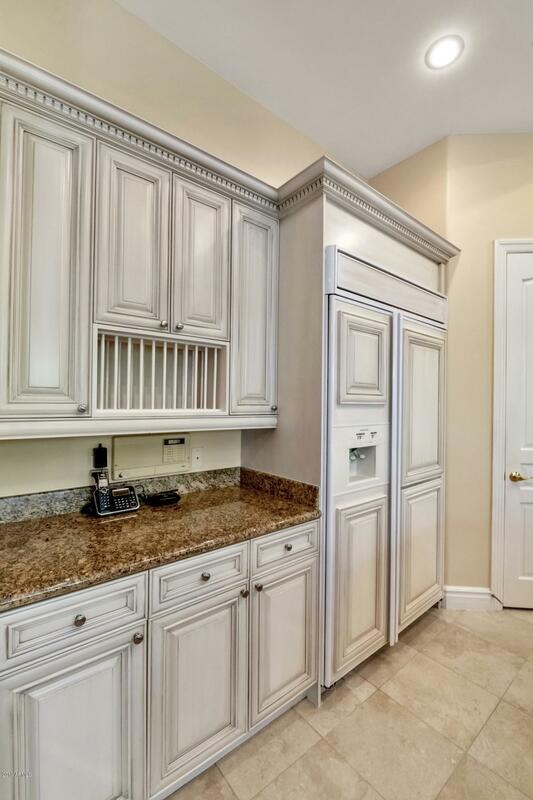 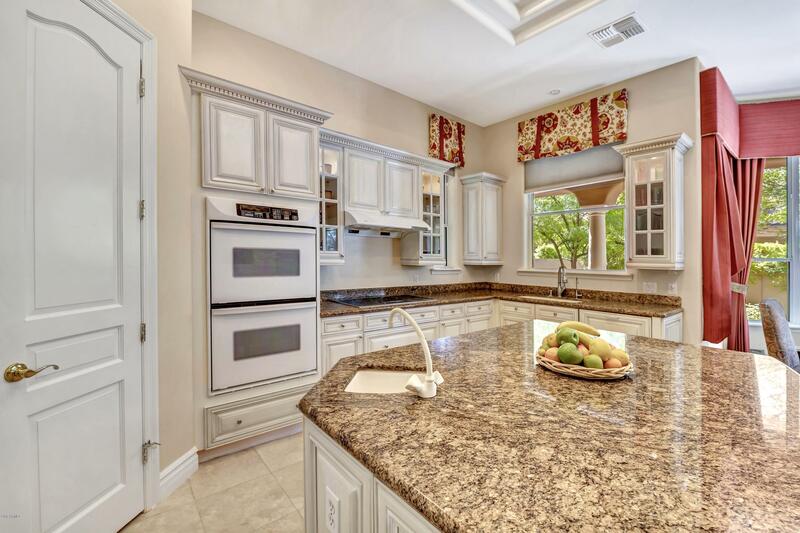 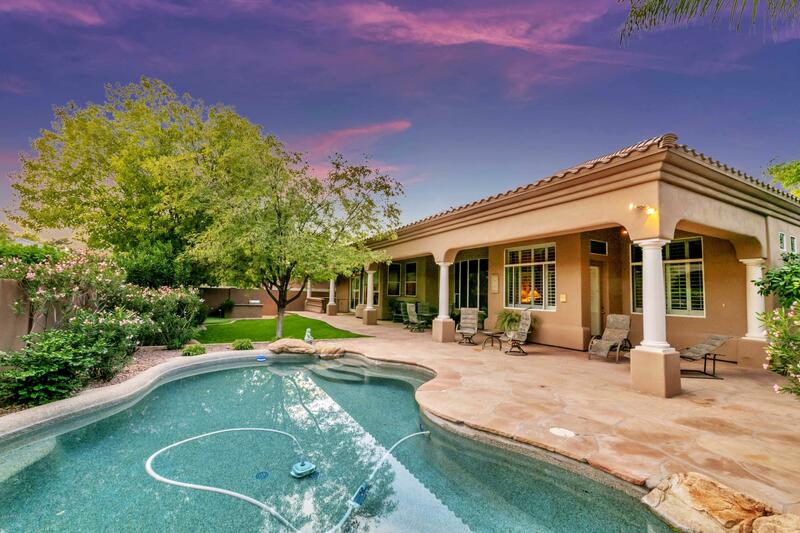 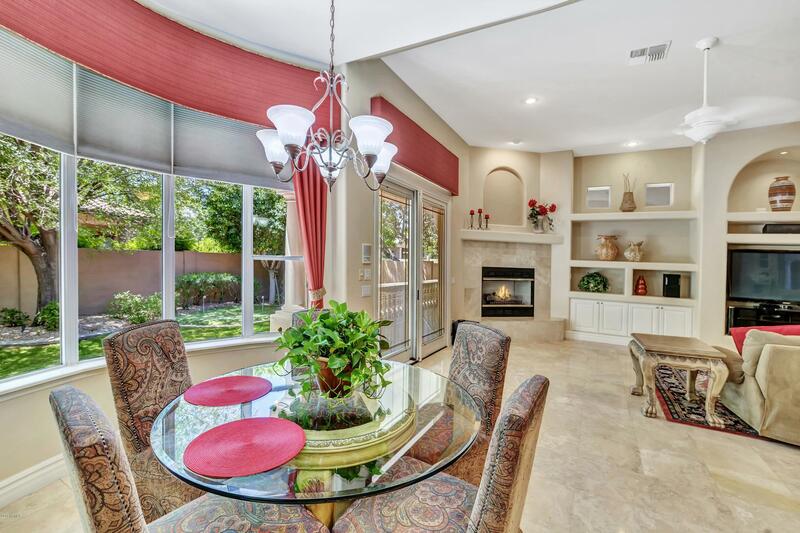 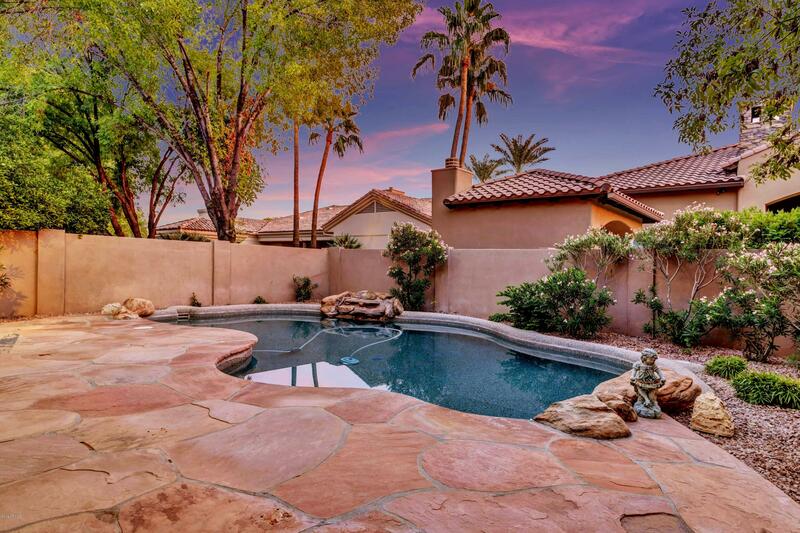 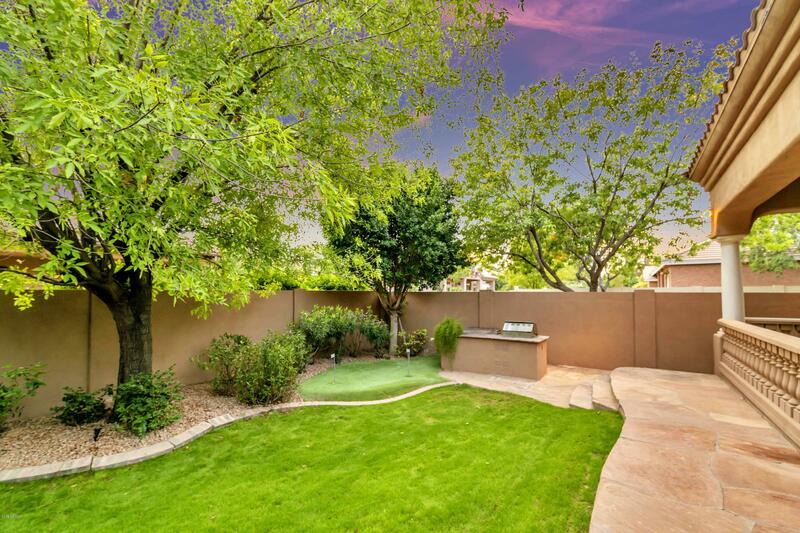 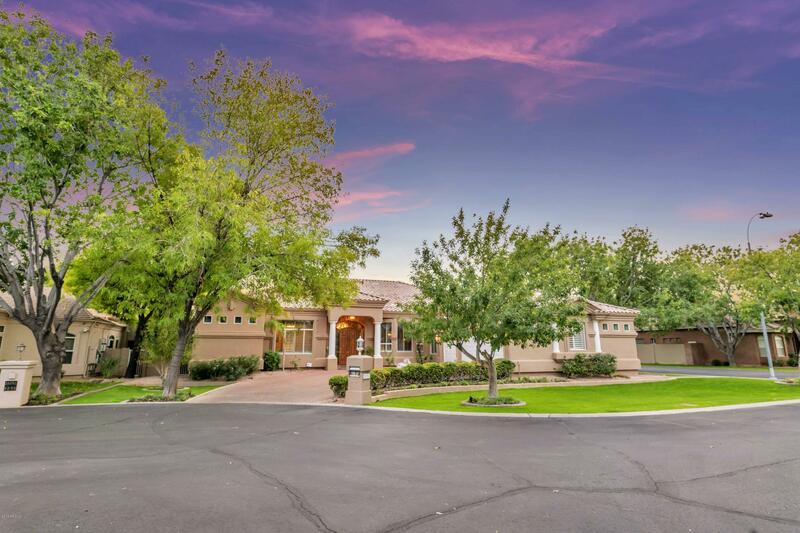 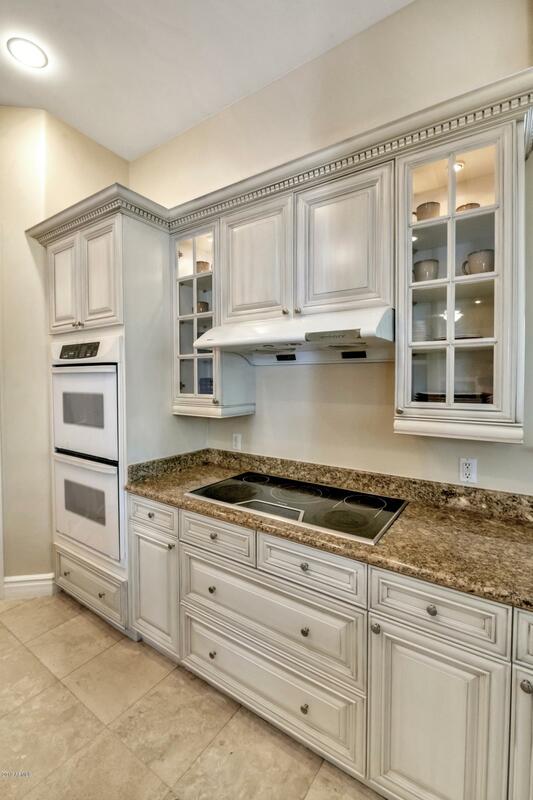 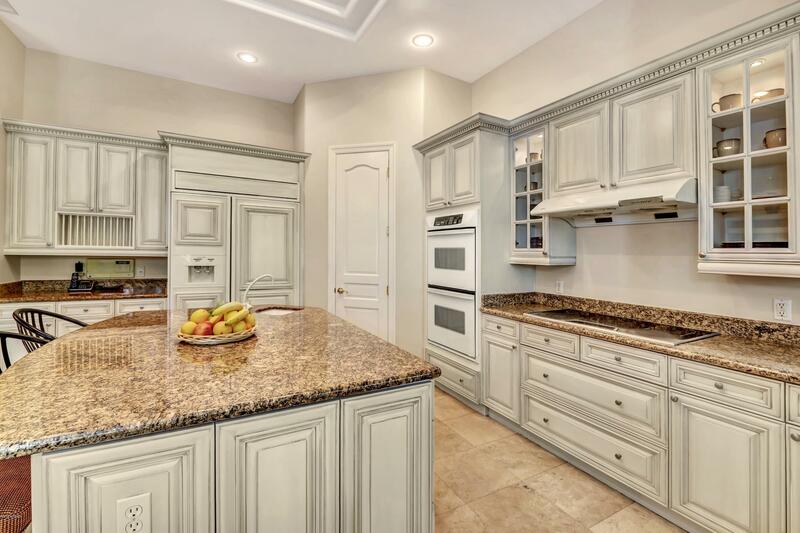 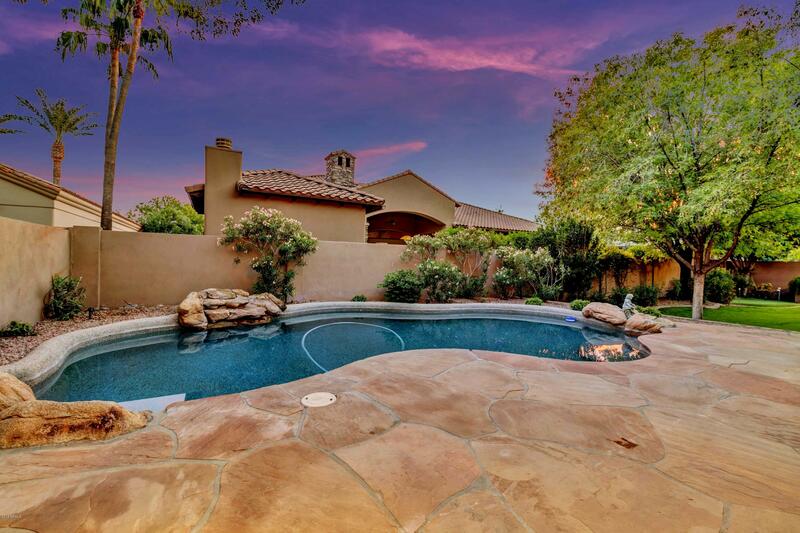 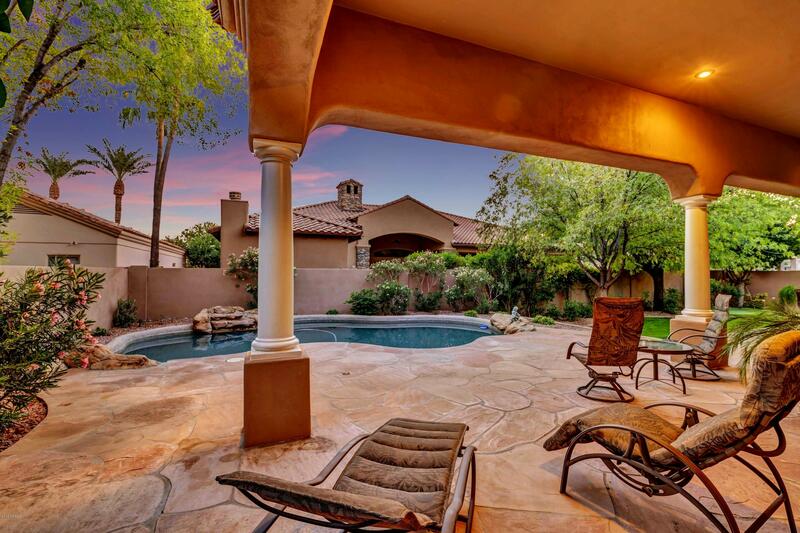 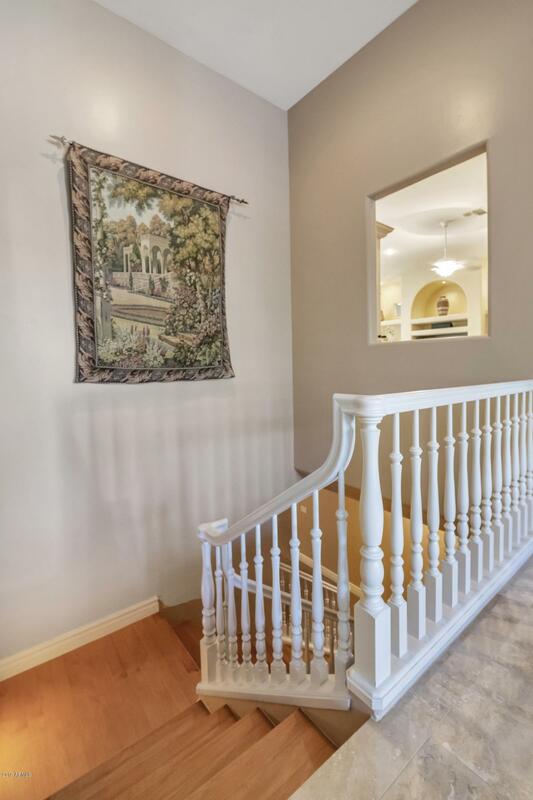 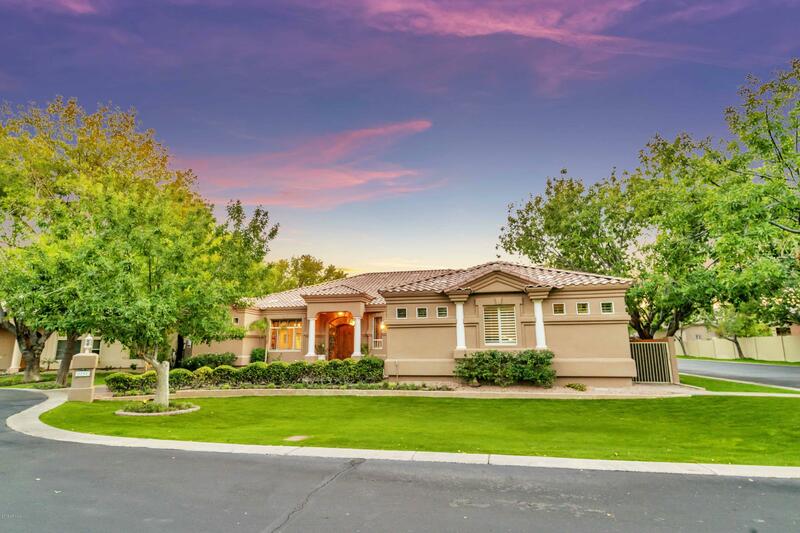 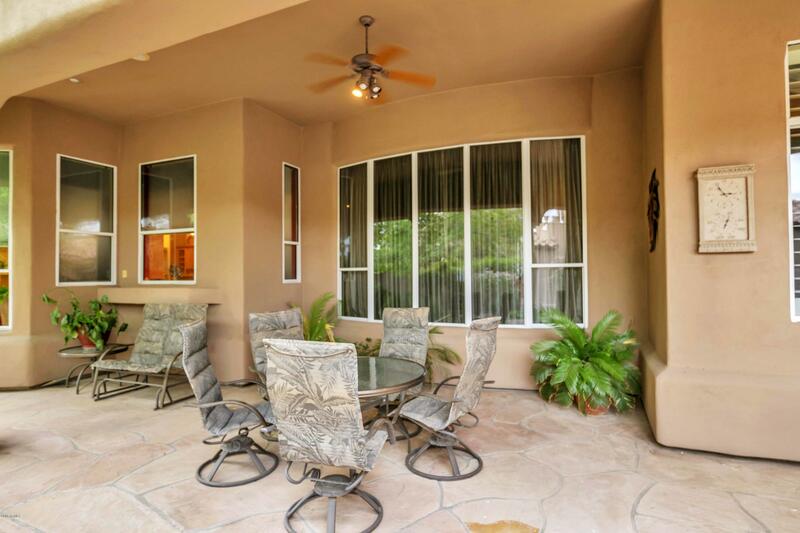 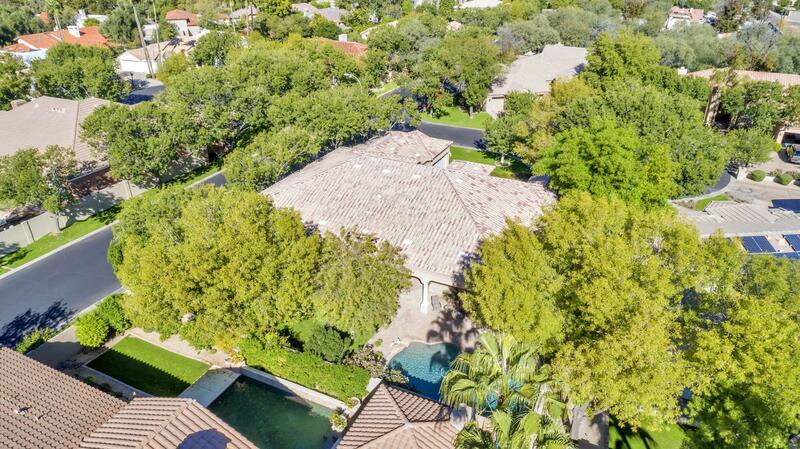 Exquisite custom home in desirable gated Homestead community in South Tempe. 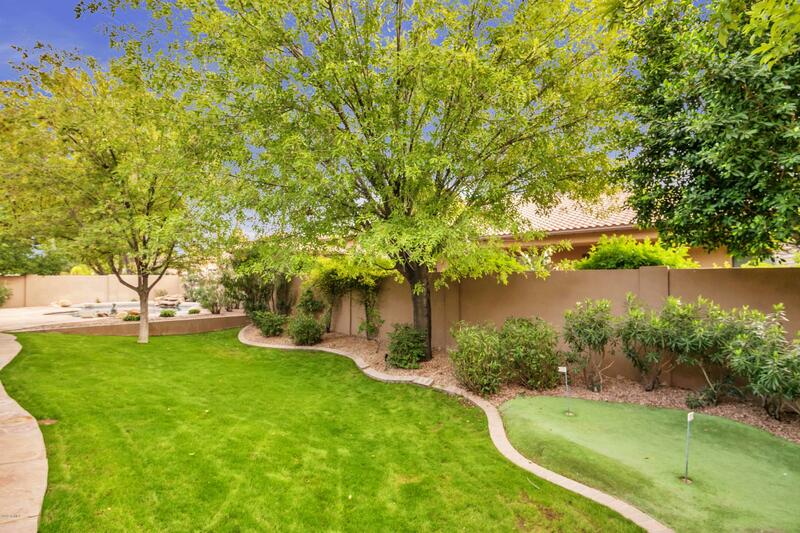 Situated on a N/S corner lot surrounded by mature trees. 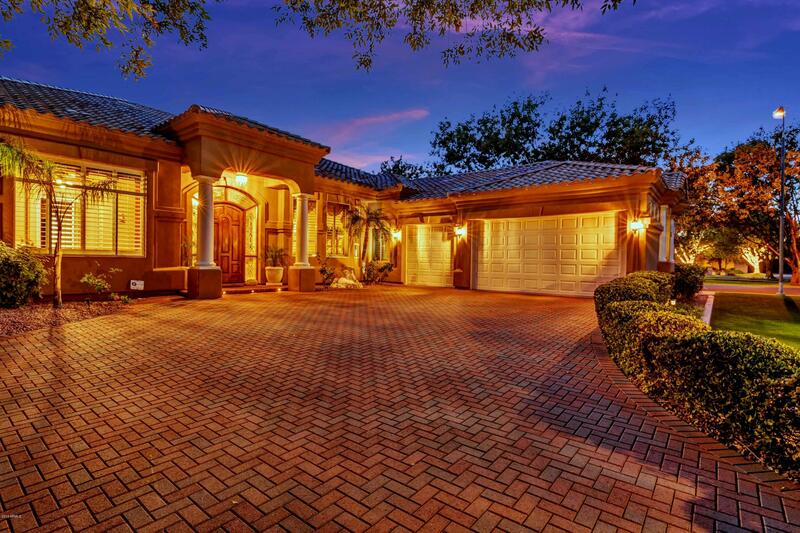 Brick paver driveway leads to a side-entry oversized 3 car garage. 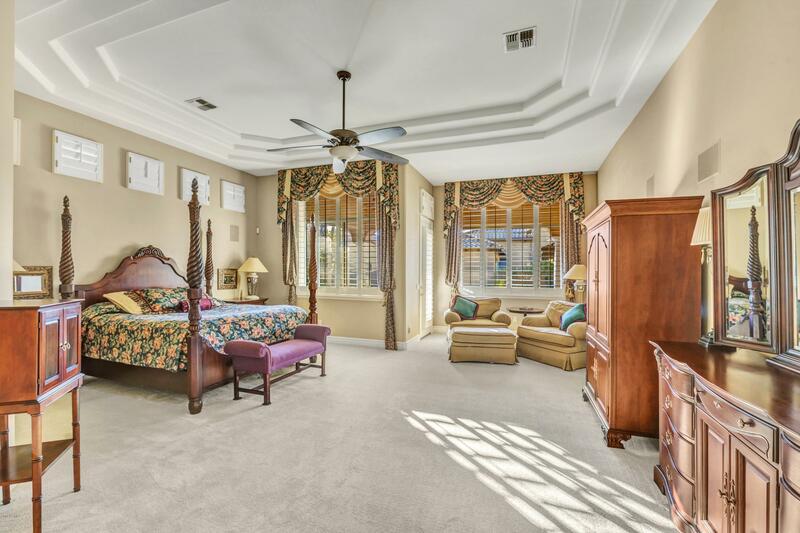 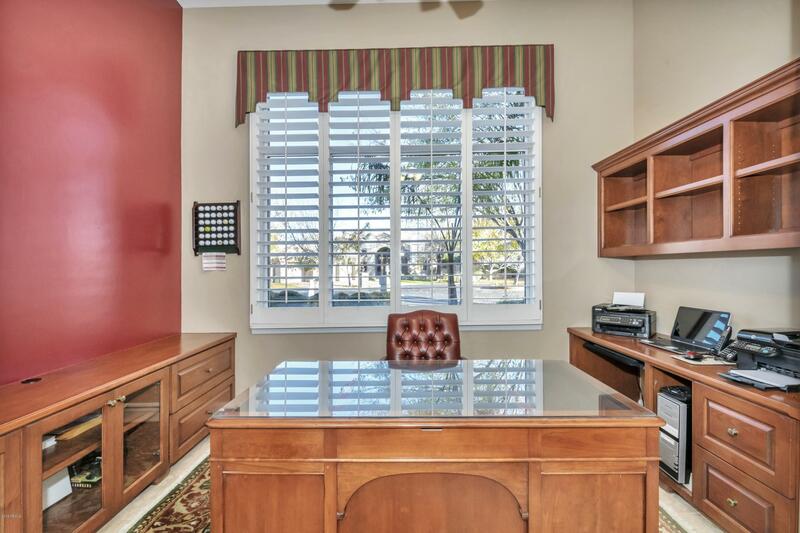 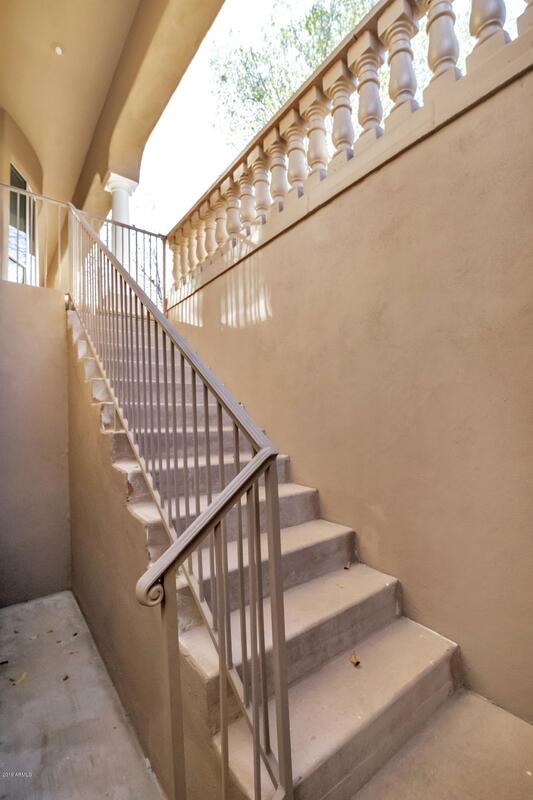 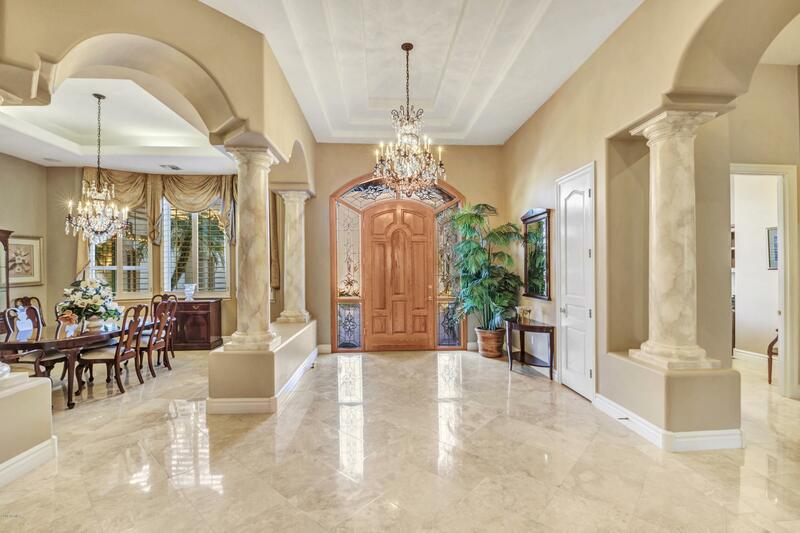 Be welcomed by a majestic foyer, formal dining room and a large formal living room. 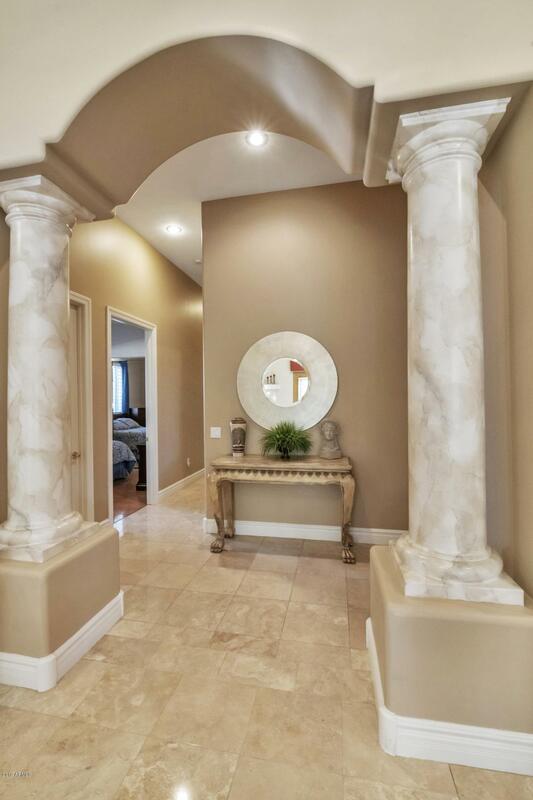 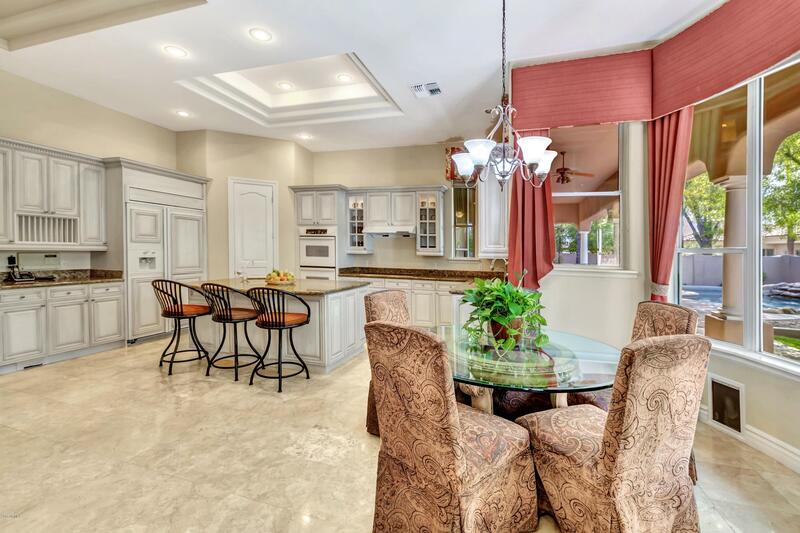 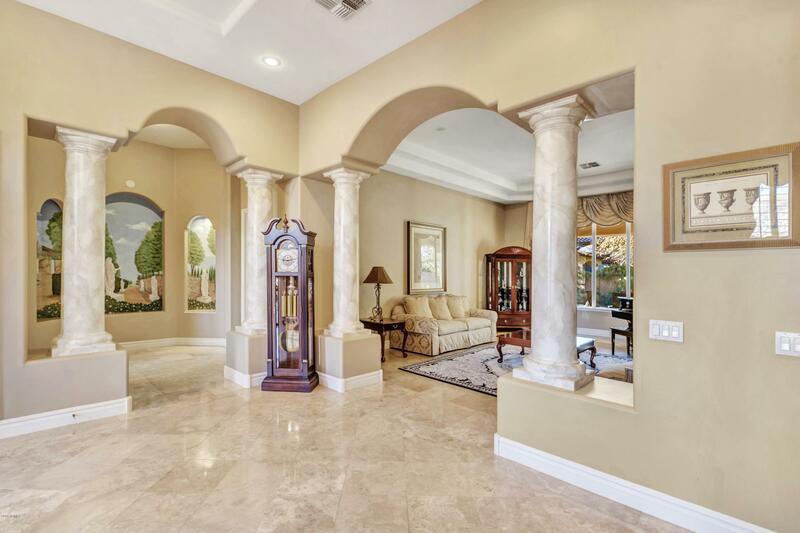 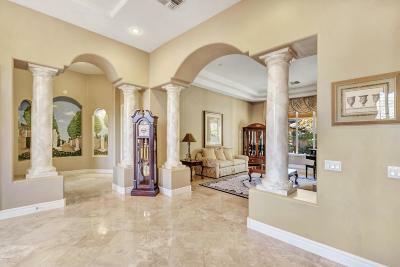 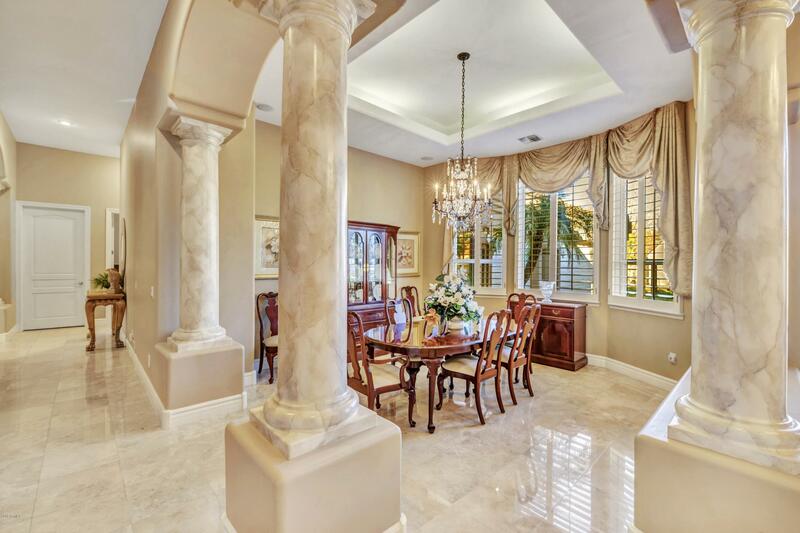 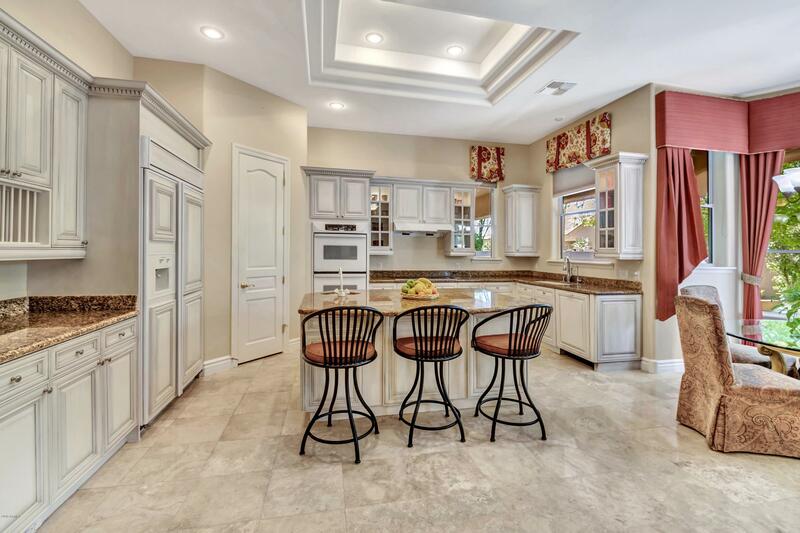 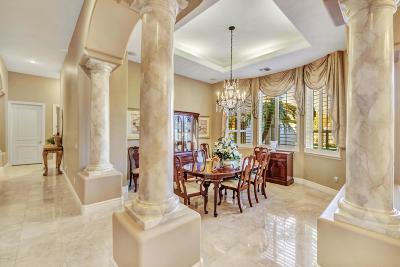 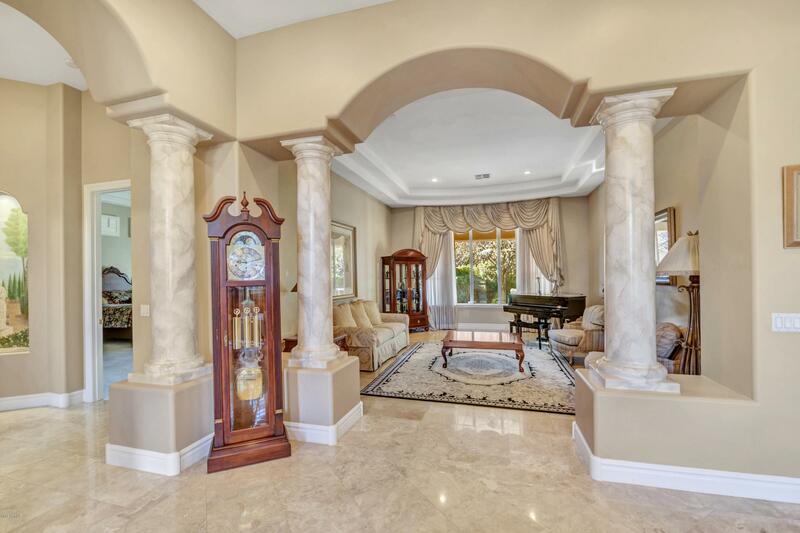 This light, bright and open split floor plan features polished travertine flooring, italian style pillars, two-tone paint throughout, plantation wood shutters, impressive coffered ceiling, wet bar and so much more! 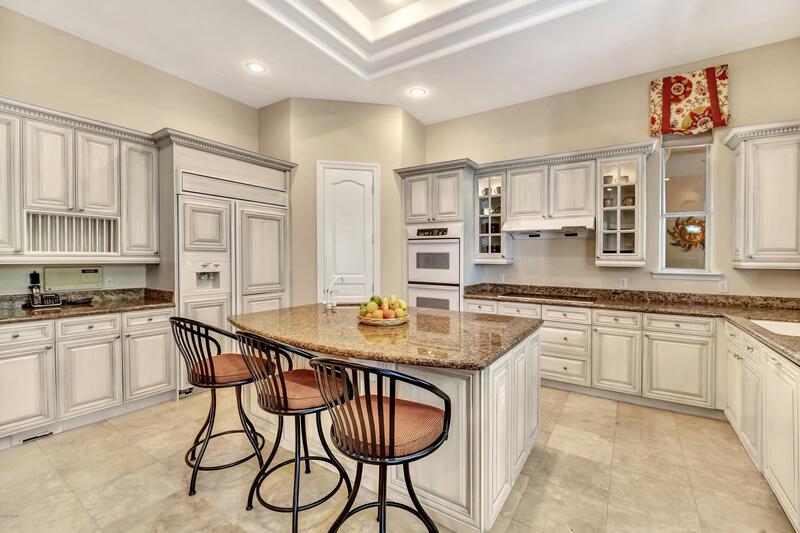 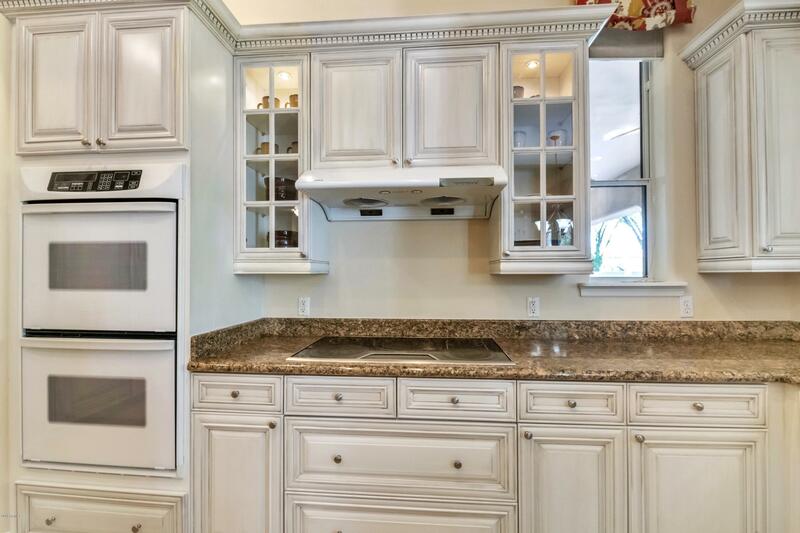 Large kitchen with kitchen island, granite slab counter tops and walk-in pantry opens to a breakfast nook with bay windows opens to large family room with built-in entertainment niches and corner gas-fireplace. 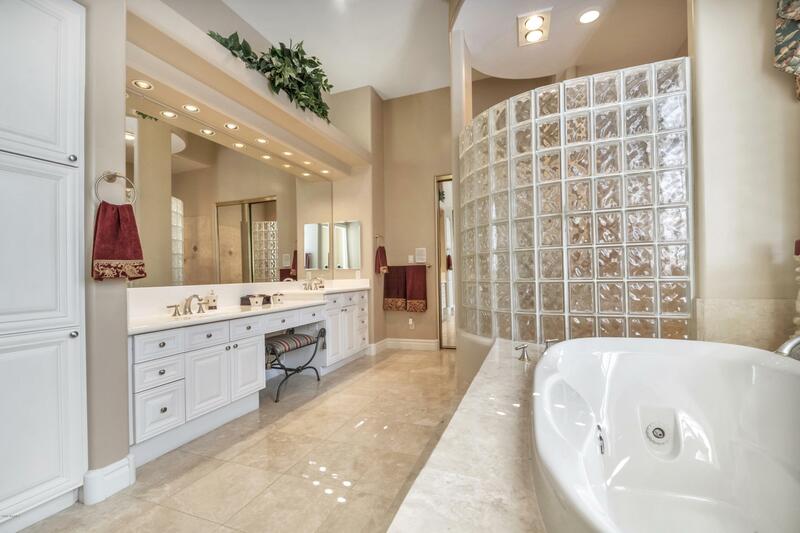 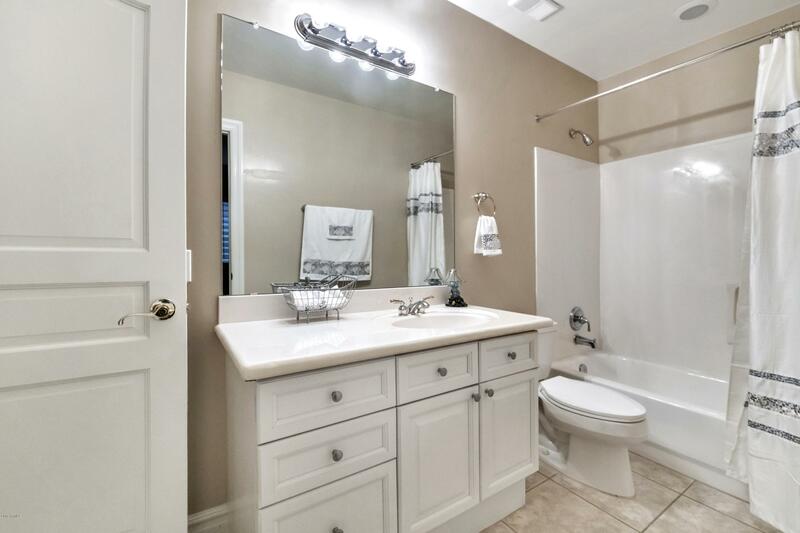 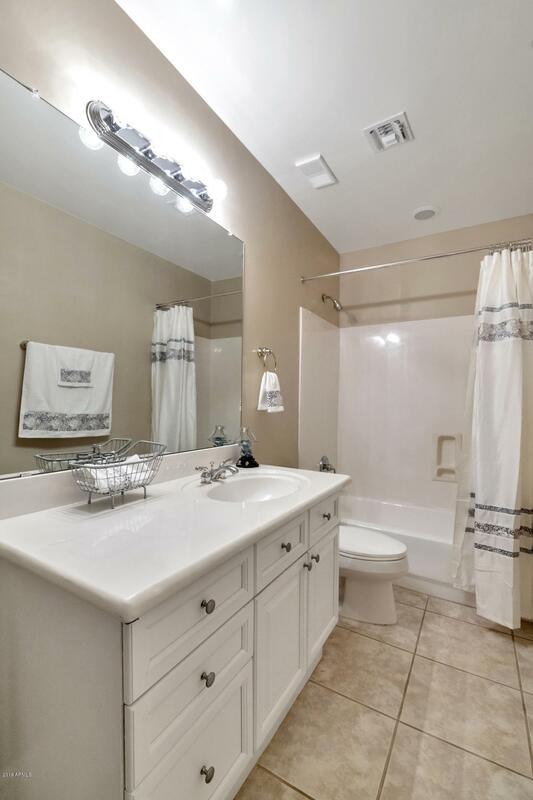 Pamper yourself in the oversized master suite with seating area and en-suite with ... jetted soaking tub, plus his & hers toilets, walk-in shower. 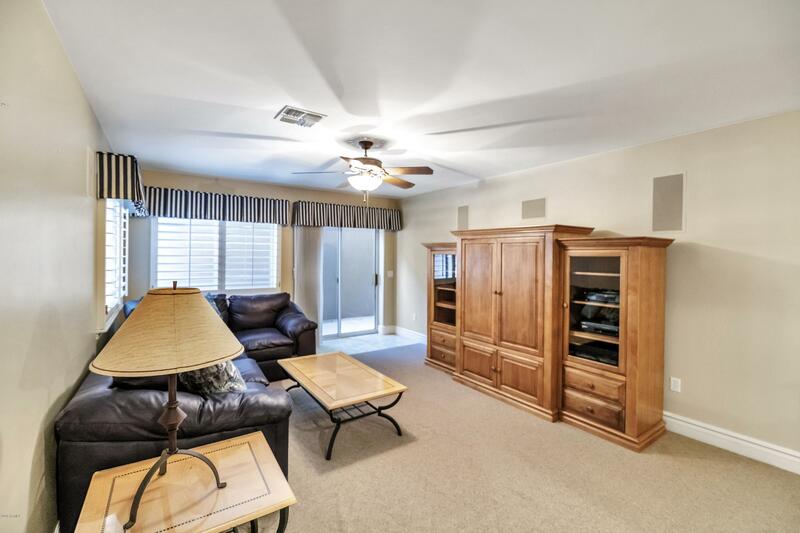 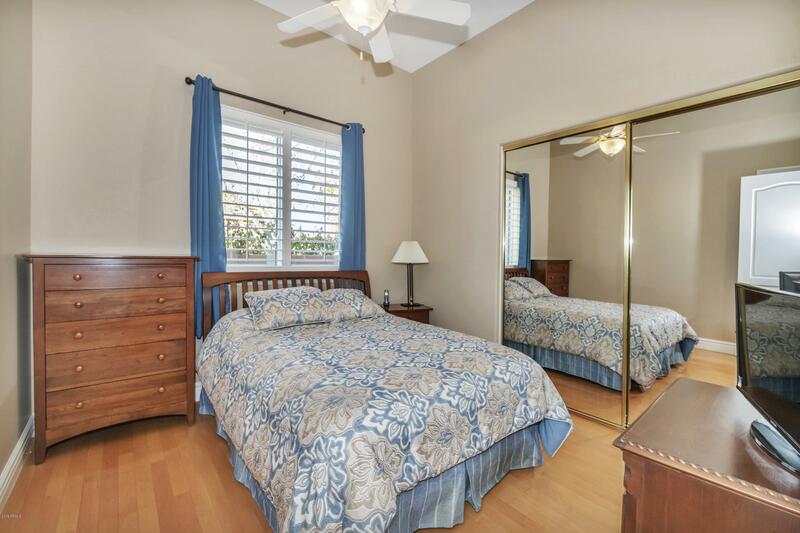 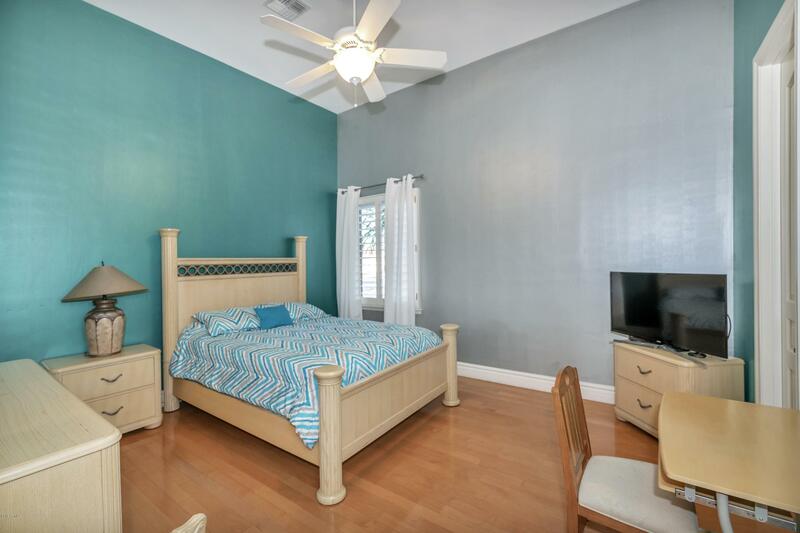 Two more over-sized bedrooms, & office/den laundry room with built-in cabinets and sink on the ground level. 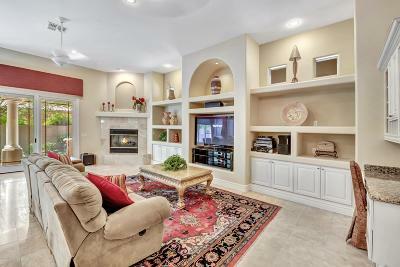 Surround sound in kitchen, family, dining room, master bedroom & basement. 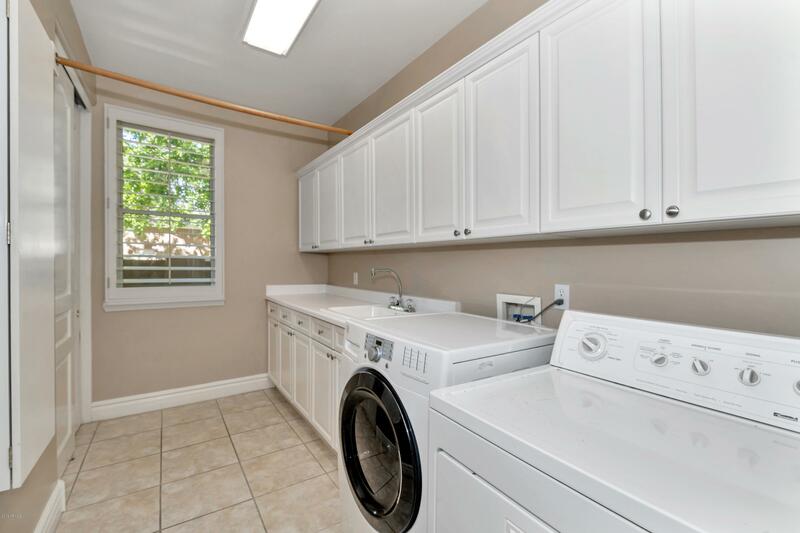 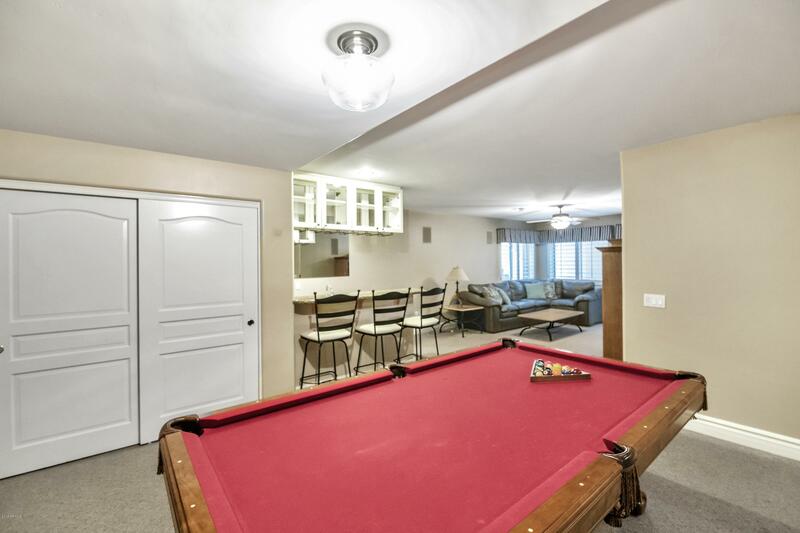 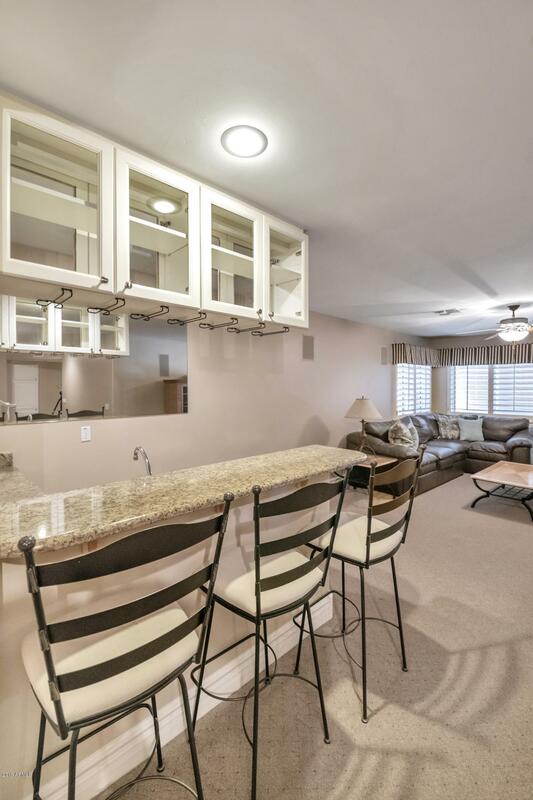 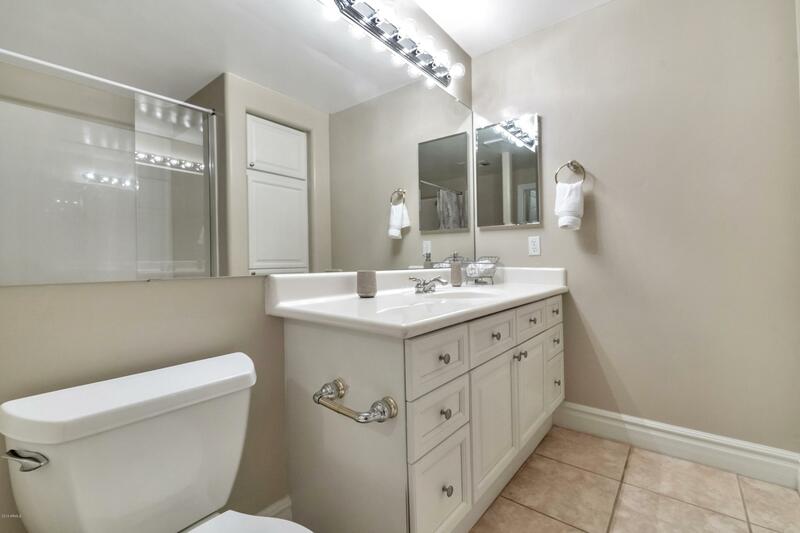 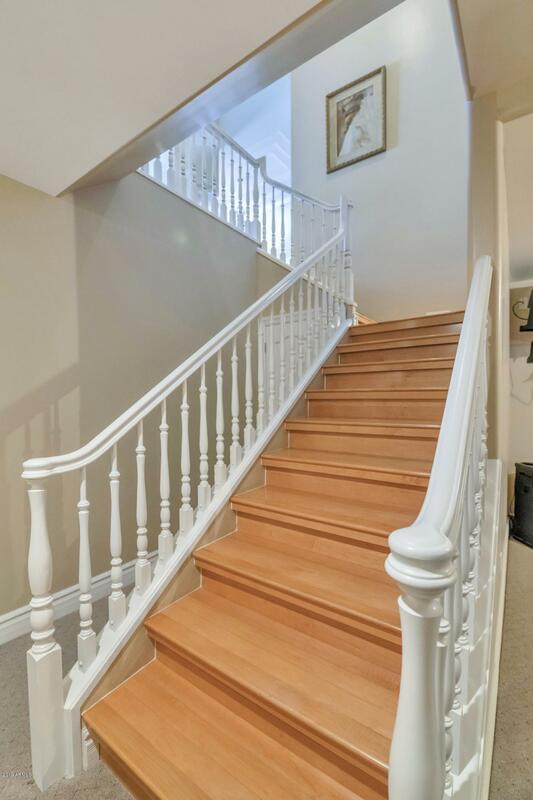 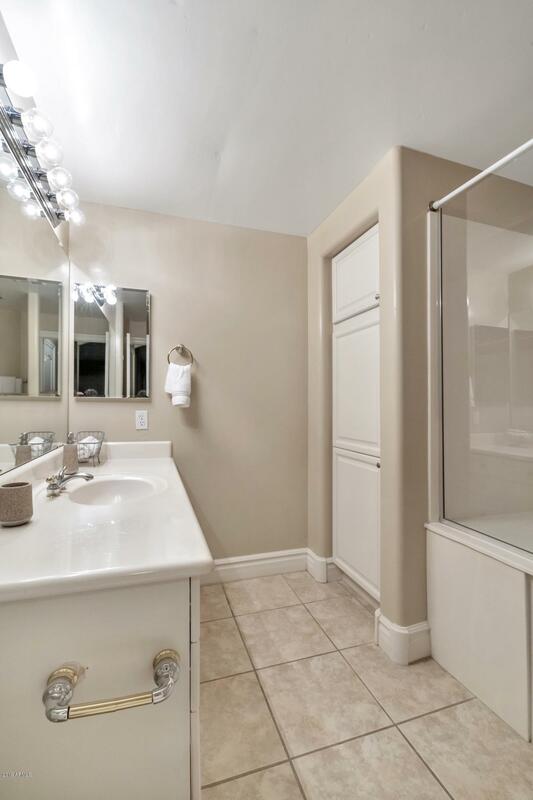 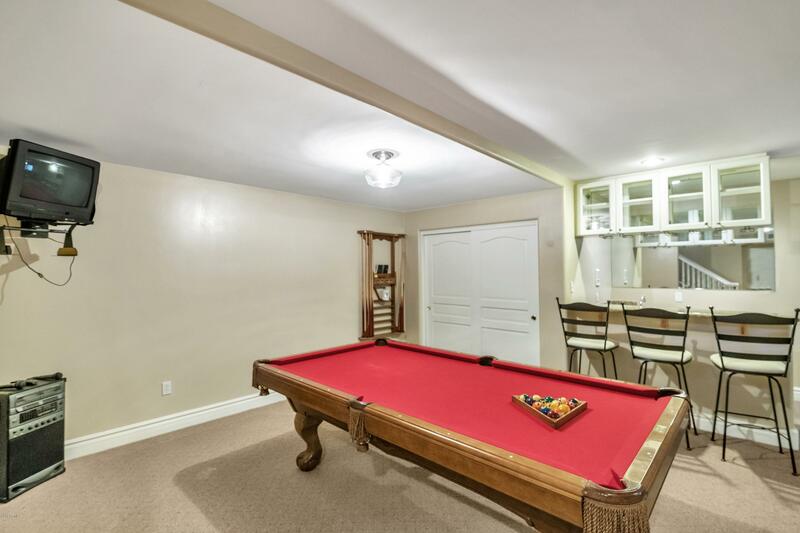 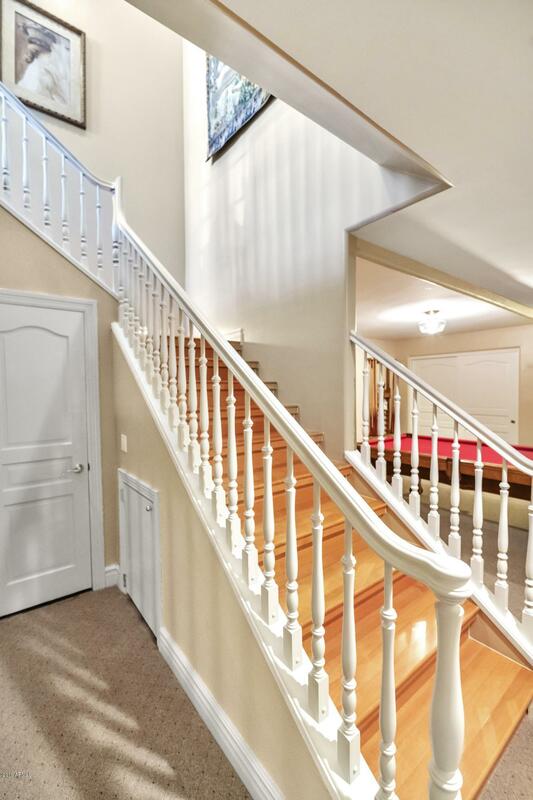 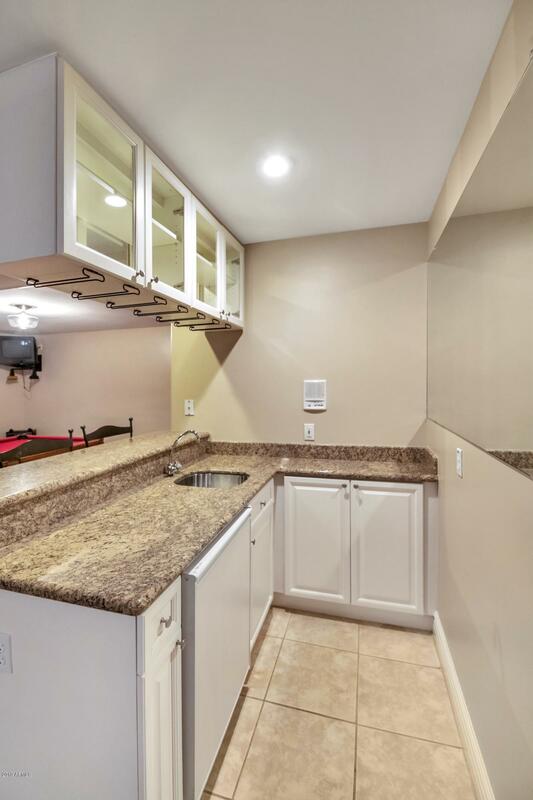 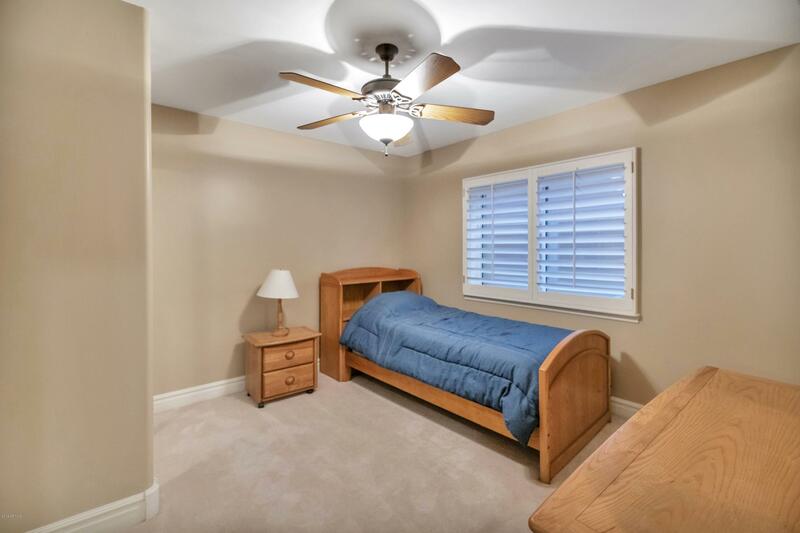 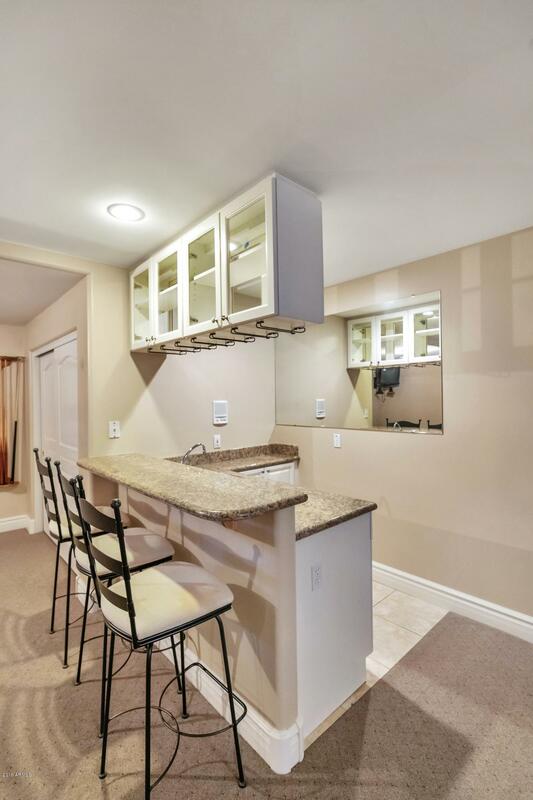 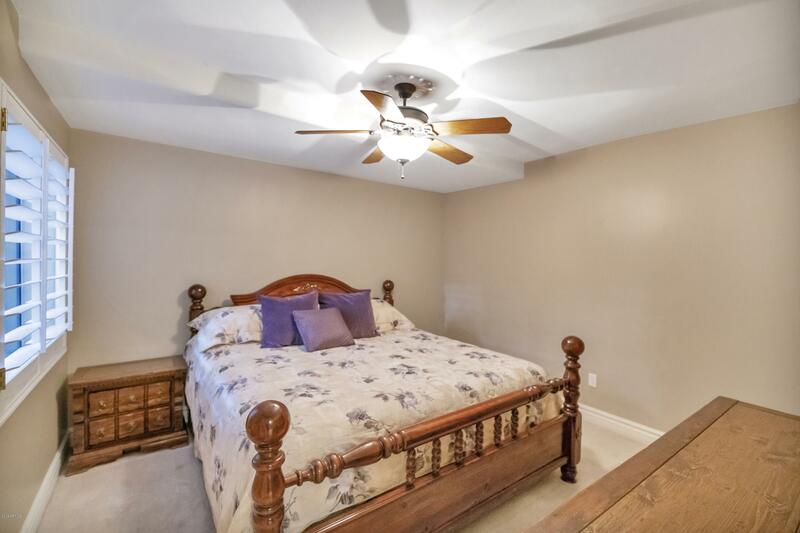 Hard to find walk-out basement is a perfect mother-in-law suite/guest quarter set-up featuring large gaming room, wet bar, 2nd family room area and 2 more bedrooms. 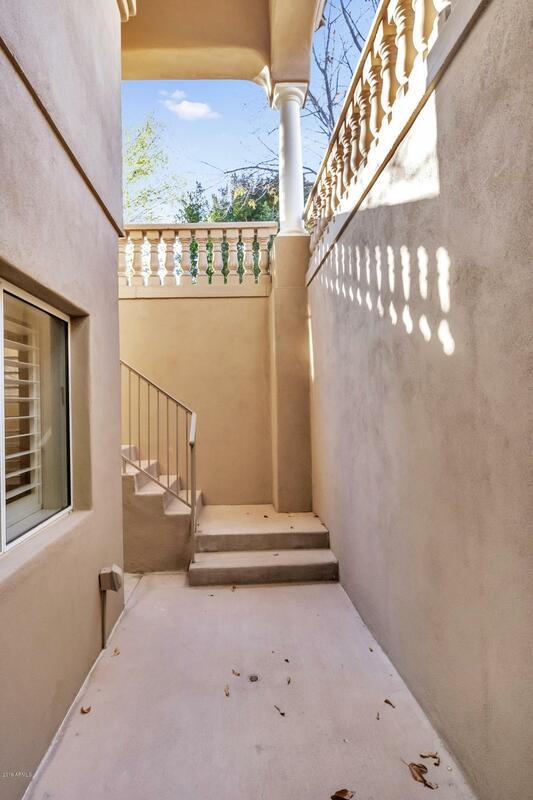 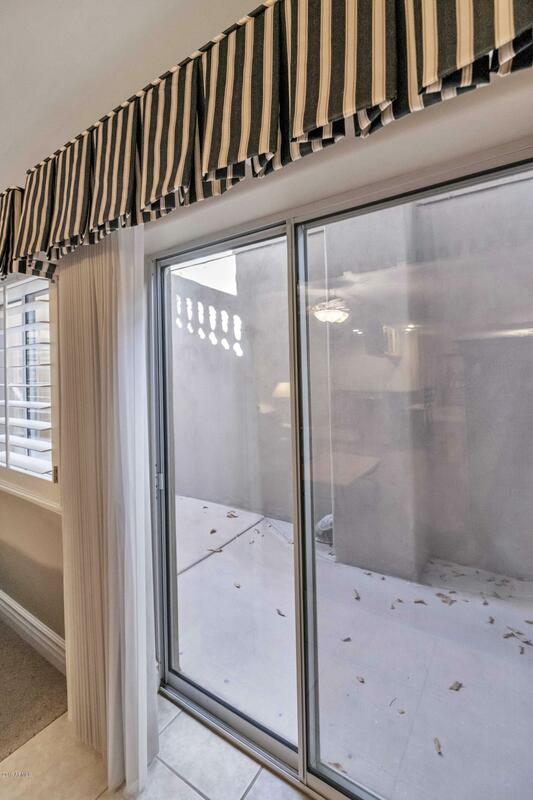 A sliding door leads to the outside and upstairs into the entertainers backyard. 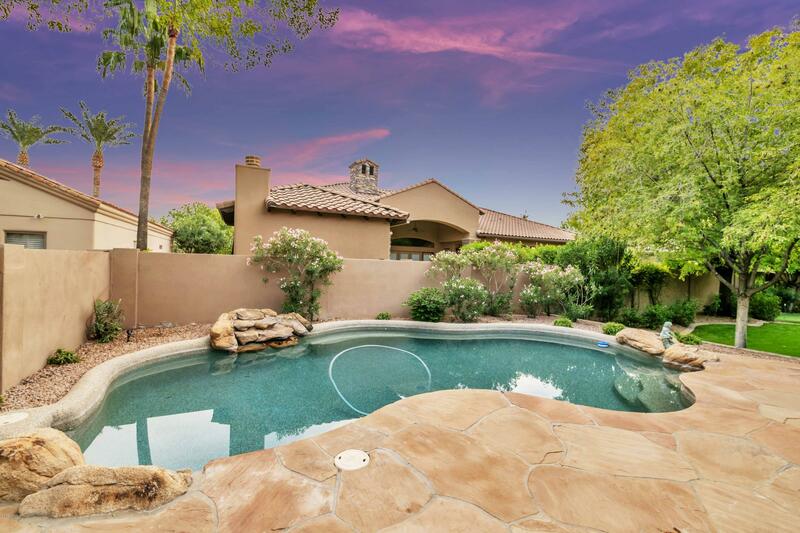 The extended flagstone tiled patio, sparkling pebble tec pool and built-in BBQ is great to unwind after a long day or invite friends and family.